Want to know more about hens? Judy Rhodes has some tips for you! Redhead hens will deposit their own eggs in other ducks’ nests, hoping they hatch and foster their ducklings. TIP: Shooting fleeing ducks after a directional shift … if helicoptering rapidly for the heavens, swing up and through the duck as shooting a springing teal clay target. TIP: Shooting into a large flock of ducks is difficult for an instinct shooter because you are glancing from bird to bird. Shoot under a high, retreating duck to intercept its course. 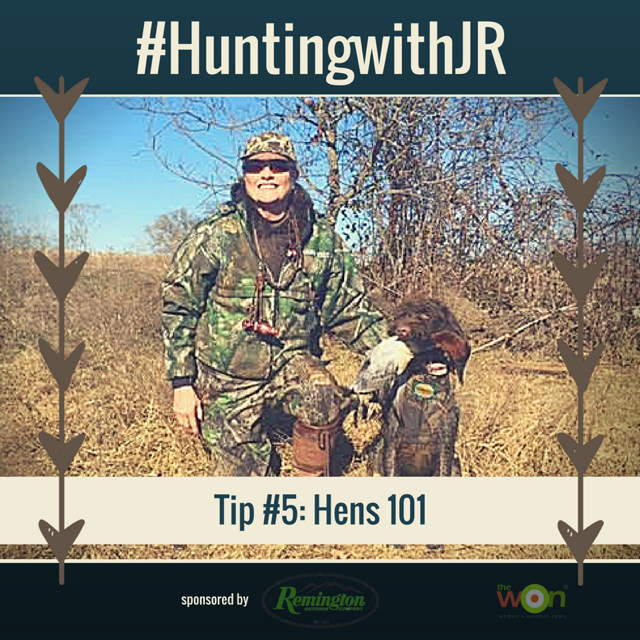 Judy has been using the Remington V3 in preparation for her upcoming duck hunts this season. What tips about hens would you add?